I love card games. 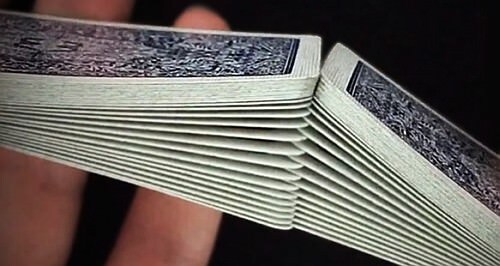 I love card magic. I also love customized playing cards, and the exotic colours and patterns that these come with are often exactly what I'm in the mood for! But sometimes I just want something plain and ordinary, so that looks don't play any role in what is going on, and all the focus can be on the game or on the magic. 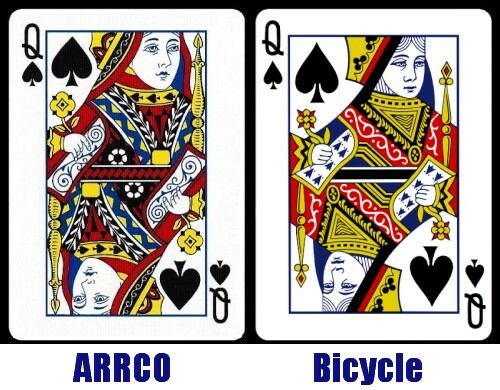 It is in those situations that I've lately been pulling out my ARRCO Playing Cards. 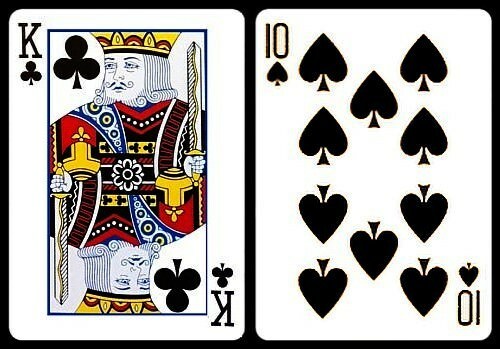 I have a two deck set, one in red and the other in blue. 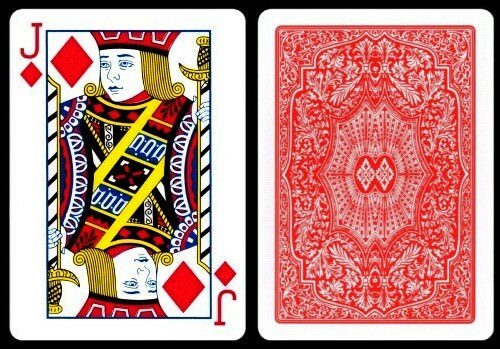 This is a set of playing cards with a long history, and has many enthusiastic devotees due to the admiration and popularity it has enjoyed, especially from many magicians. So let's first set the stage by learning something about the brand name. Shown here are a couple of the original Arrco decks which have now been the subject of a 2018 reprint. 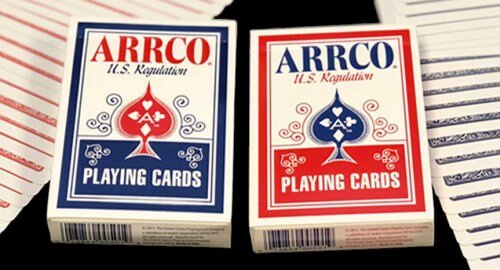 In their prime, Arrco decks were a hot commodity, and they continue to be a beloved deck for many magicians and card players today. 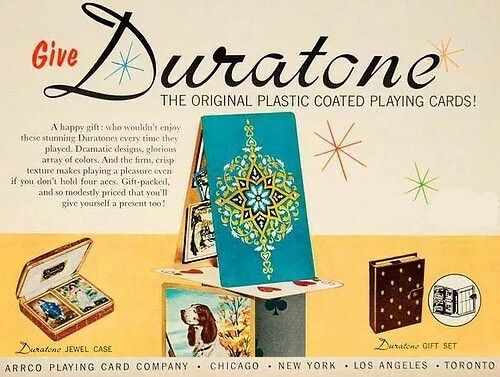 Apparently when Arrco was a separate company, this is the back design used on their Club Casino and Duratone Club Reno brands of playing cards. 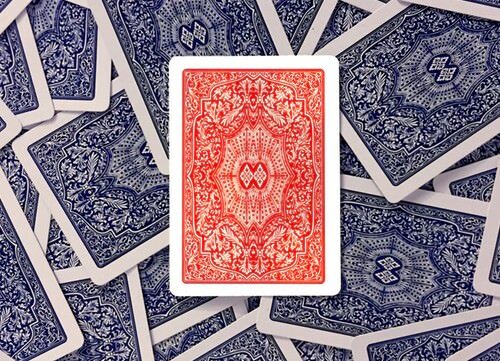 It is still revered by many magicians and professional card handlers around the world. 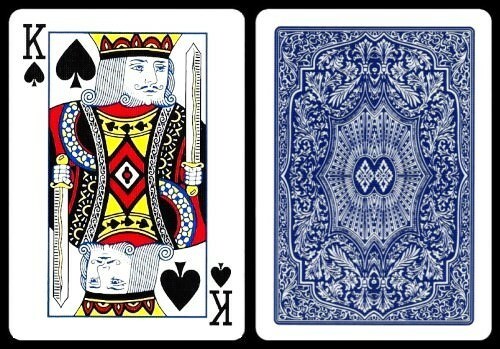 Magicians have long loved these decks, and collectors will also appreciate the opportunity to seize a piece of history. 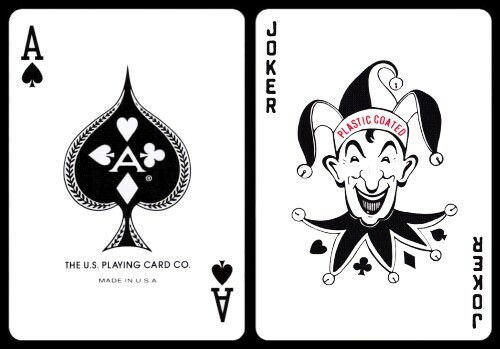 While their performance won't be identical to the original Arrco decks, like other USPCC produced decks they will perform very well. And of course they feature the artwork and design that many magicians and collectors feel strongly connected with, so that will give them an immediate appeal for many people. Why not check out a pair for yourself?! I'm glad that there's a variety of different decks of playing cards on the market. Sometimes we are just looking for something relatively unobtrusive and practical, and the iconic Arrco decks fit those criteria beautifully, while handling well at the same time. But if it's customization that we want, it's hard to look past the stunning Strigiformes Owl deck. The artwork and design of these cards is absolutely exquisite, and the entire deck is a true work of art, that will be prized by the collector and much enjoyed by everyone who sees it. So kudos to PlayingcardDecks.com for creating some great new decks, and continuing to produce the goods for fans of custom playing cards around the world! 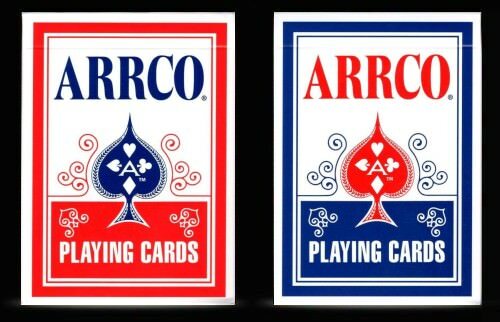 Some time in the early '80s Tom Niesen of Chicago got the Arrco Co. to print gaffed cards using the Arrco design. His company was called "Mystic Madness Supply." He had the standard DFers, DBer, blank both, blank face, blank back. I think that was it. 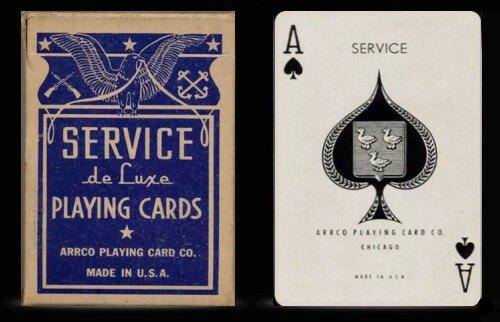 Tom started setting up a booth at magic conventions and would sell bricks of Arrco cards - mostly Tahoe backs but also Club Casino, which I liked much more than the Paisley back of the Tahoe cards. They started to be adopted by the magic community since you could purchase matching gaffs in poker size. The Fox Lake gaffs were all bridge size. All the gaffs that were handmade by Don England for Gaffed To the Hilt were in Tahoe design. I used Club Casinos when I filmed my video Top Secret Close-Up in 1990. My marketed moving hole trick, Holey Terror came with two decks of Arrco cards and was marketed by Tom Niesen's company in 1983. The Club Casino design in very elegant IMO. The cards are very flat and feel thinner than Bikes. The originals were foil wrapped (silver foil). The box had a cut out that you could see the silver through. Nice to see them again. Fantastic to hear those extra details and info - thanks for sharing that Mike! I remember using the foil wrapped Arrco cards for awhile in the eighties but never switched over to them completely, not as easy to obtain in the U.K. at the time. 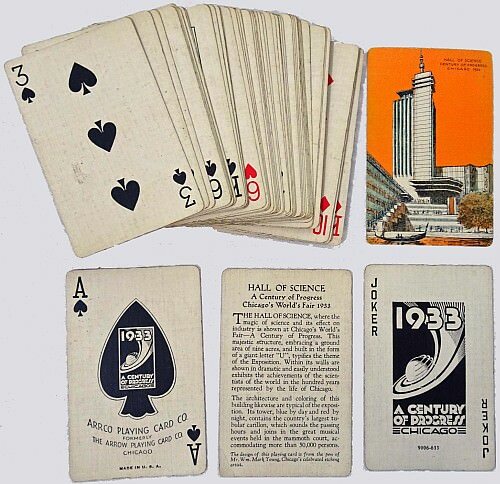 They were thinner than Bikes and the Superior Brand cards currently available from The Expert Playing Card Company remind me of them a little. Hi Paul - I agree that the Superior cards are reminiscent of the Club Casinos. I purchased a couple of bricks of the Superiors because of that. The Superiors are very flat. I don't think they're as thin as the Club Casinos, though. I might be wrong about that?? I have some old Club Casinos around here. I also have a bunch of the old gaffs for Arrcos. The new Elite Bikes seem very thin. Anyone notice this?